Metastatic kidney cancer. 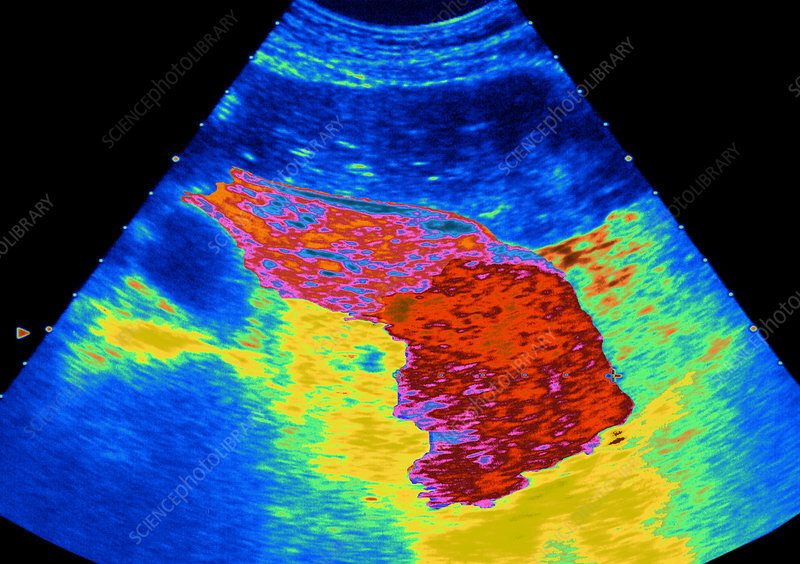 Coloured ultrasound scan of a malignant (cancerous) tumour (red) in the pancreas of a patient with kidney cancer. The cancer has metastasised (spread) from the primary kidney cancer to the pancreas. Pancreatic cancer often causes no symptoms until it is well established and untreatable. Once cancer has spread the prognosis is poor.